Linen yarn is a typical sewing thread for medieval garments. 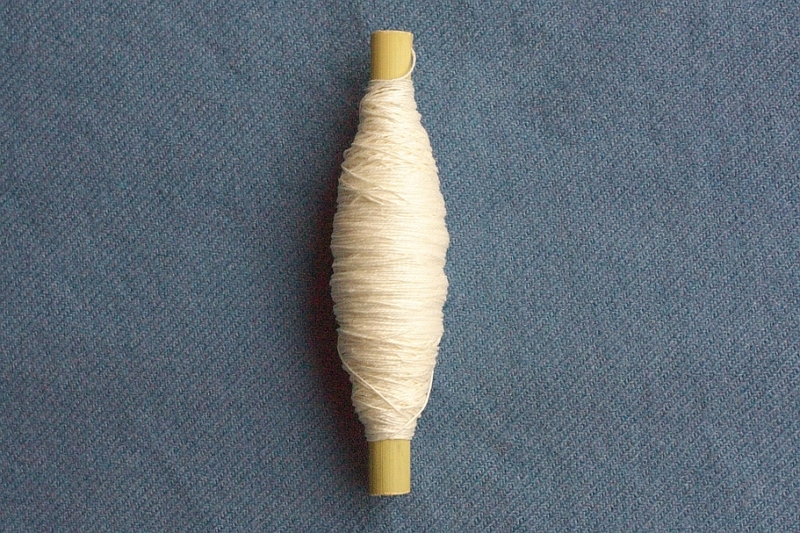 Good-quality linen yarn makes sewing a much more pleasant experience, but linen yarn often features slubs in the single threads. These slubs are not only a nuisance when working, they also mean a weak spot in the thread. I am happy to offer a linen thread with no or next to no slubs and imperfections in the thread. 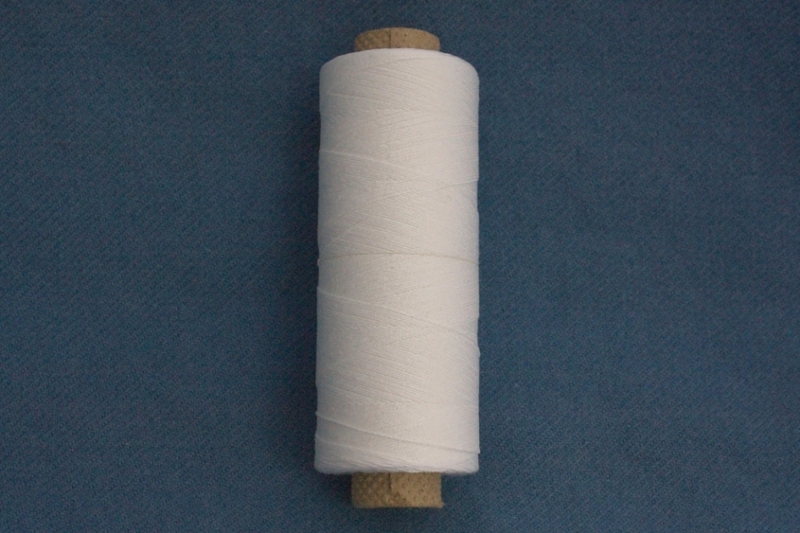 On top of this, it is one of the now rare 2-ply linen yarns, that means it is put together from two single strands. Almost all modern linen threads have three or more plies, while having more than two single yarns plied together was the absolute exception in medieval times - we almost exclusively have single yarns and 2-ply yarns. 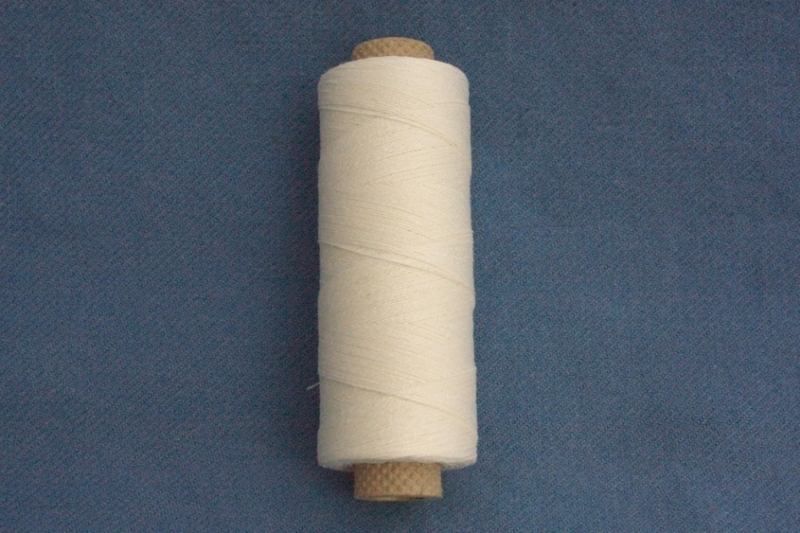 The singles in this thread are z-spun, which means the thread is an S-ply. It is slightly thicker than the 24/2 yarn. The thread is available in either white or ecru (slightly off-white), and on 100 m spools, wound onto a reed core - you do not have to hide this spool in your historical sewing kit.For those of you who sew a lot (or who need large quantities for other purposes), it is also available as a large roll with 50 g (about 450 m), wound onto a cardboard core, for 18.50 €. Linen thread is very strong (unless buried in soil, where the slightly acidic milieu dissolves vegetable fibres), but can be harmed by too much rubbing from the needle eye in one spot. So when using linen thread, make sure the eye of your needle has no sharp ridges, and move the needle further along the thread at regular intervals while sewing. Lightly waxing the linen thread with beeswax will significantly protect the linen yarn and also inhibit tangling of longer threads, so while I recommend waxing most sewing threads, it really is a "must do" with linen.